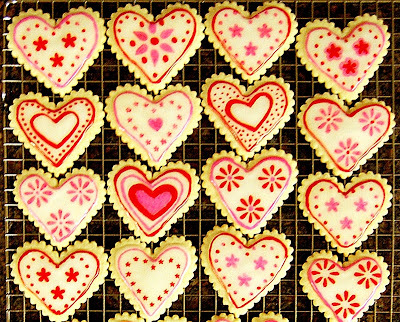 We are just about a month away from Valentine's Day and while transferring files to my new computer I came across some of my information about making special Valentine's Day cookies. I thought I'd share a LINK back to the original post. 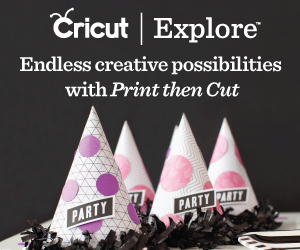 I used stencils cut from Martha Stewart Crafts Cricut Cake cartridges (the cake cartridges work on all machines and the Martha Stewart designs are wonderful). The designs are drawn with special food color markers. 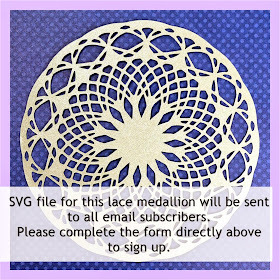 They may not be available at a local shop so this will give you time to order online if you'd like to try doing these. When I made the cookies I paid over $20 for the markers but you can find them on Amazon for much less. If you have a Silhouette machine, don't forget to pick up this week's free shape. 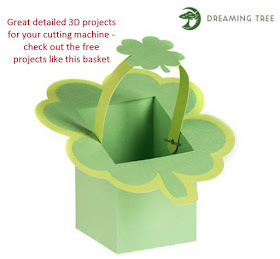 It is a card that has lots of pieces you can use to make other projects. There is also a special sale on starting today on the Silhouette America site. 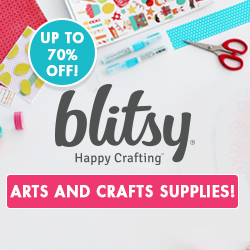 In celebration of CHA (the Craft and Hobby Association Winter Trade Show is happening now) they are offering a 40% discount on most items in the store. 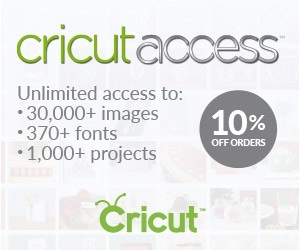 Machines, download cards, gift cards, subscriptions and downloads are excluded from the sale. There are a lot of codes that you can use to get the discount (they are affiliate codes from different sites) try JESSICA - it was working last night. The sale runs until Thursday, January 17th. 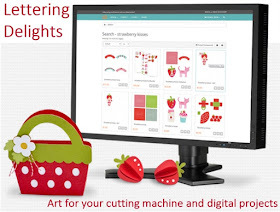 The code is good for the Designer Edition of the Silhouette software if you are interested in upgrading from the free version. 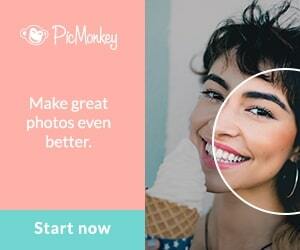 Remember, Creative Memories has all sorts of albums on sale until January 21st. Albums only go on sale a few times a year so this is a great chance to pick up what you need at a great savings. If you do not have a relationship with a Creative Memories consultant to order with, I'd be happy to help you - just click HERE to go to the album sale page on my Creative Memories Personal Web Site. click on the smiley face to find out how to get 28 pages done in one month and have a ton of fun doing it! 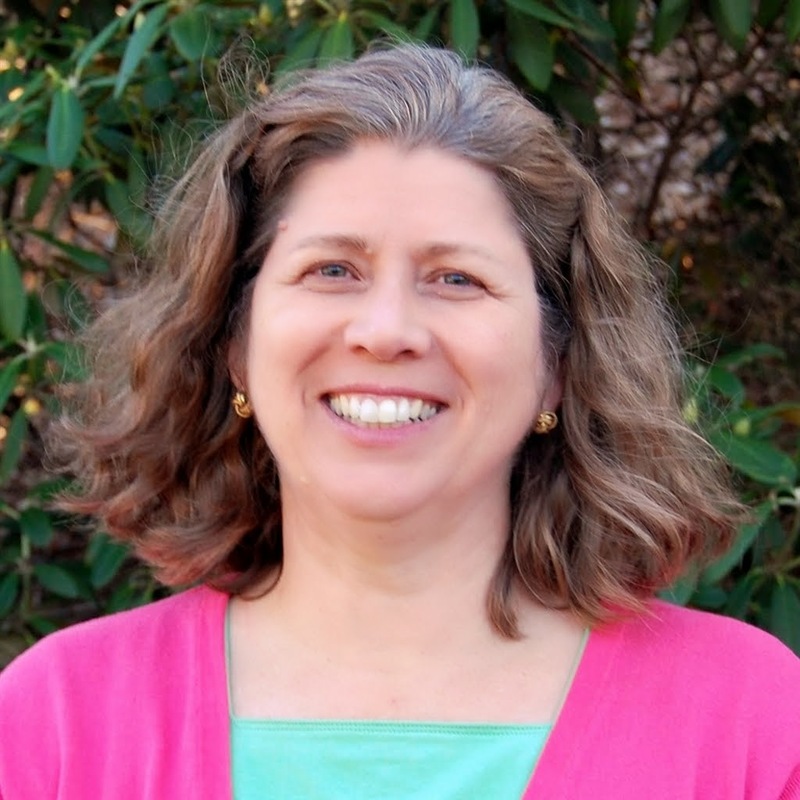 I recently mentioned that I have been taking some classes with Lain Ehmann. 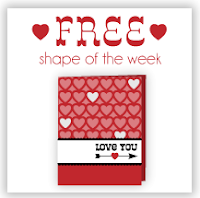 I am really excited about the month long Layout a Day program that will be starting February 1st. 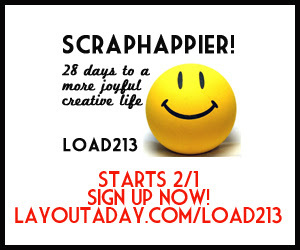 The theme for LOAD 213 is Scrap Happier and you can get more information HERE. The group is almost full so don't miss the chance if you have been thinking about signing up. Lain also offers free monthly "scrapinars" that cover a wide variety of interesting topics. If you can't make the live class, you can watch the replay for a short time after the session (but only if you have preregistered). These classes are so full of great information that Lain also makes the archives available for a low price. You can read about all of the different classes HERE. Click here to view more details This deal is good until January 31, 2013. I hope you have something fun planned for the weekend and that you are staying healthy. My Dad has been discharged from the hospital and is back in the skilled nursing area of his retirement community. I'll be heading south to spend some time with him next week. I hope to have time to do some projects this weekend - it's fine to just leave the Christmas things up a while longer, right?! So glad you're both feeling better and your dad is out of the hospital. You are not alone - I have containers of Christmas decorations stacked on the deck and a pile of things to still be packed in the corner of the dining room - and my sister is coming for a visit from FL next week! Will I ever get it all done? Who cares? Hi, Diane ... I'd just like to extend an invitation to visit my Paper Jungle if the spirits move you, when you are down visiting Dad next week (or any time!). I am nearby! Or if you just want a break and maybe a movie matinee, I'm on a mission to see all of the Academy Award nominees for Best Movie. (I am now retired, and so my schedule is light, yay!). Just drop me an e-mail and I will reply with my phone numbers. Also, I wanted to share this little tip I learned when I took my Copics certification class. 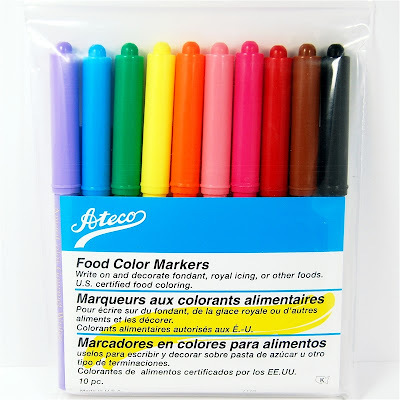 You can buy an EMPTY Copic marker and fill it with FOOD COLORING to make your own food-safe marker to decorate your cookies!! Just remember NOT to use any marker that has ever held ink. I haven't tried this yet but will. 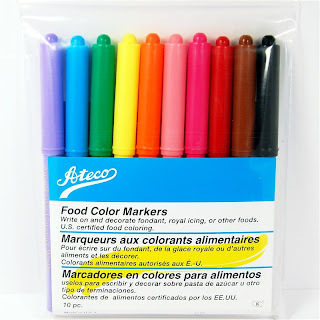 Last year, I did but the markers you recommended for the cookies but never made the cookies. Now I need to find where I put them so perhaps we could try a comparison if you visit?? Glad you are feeling better. Safe travels! 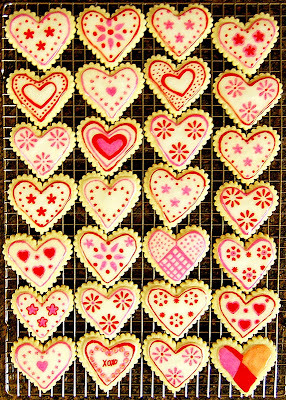 Oh wow, these look so yummy and decorated so fun! Too pretty to eat:) I will have to check out those markers..thanks for sharing!